Are you one of 35 million women experiencing Stress Urinary Incontinence/SUI? The kind of incontinence which can be triggered by everyday occurrences like coughing, sneezing, laughing, lifting, or even exercise. Well ladies sit back and become enlightened! There's a new product designed to help stop leaks before they happen. 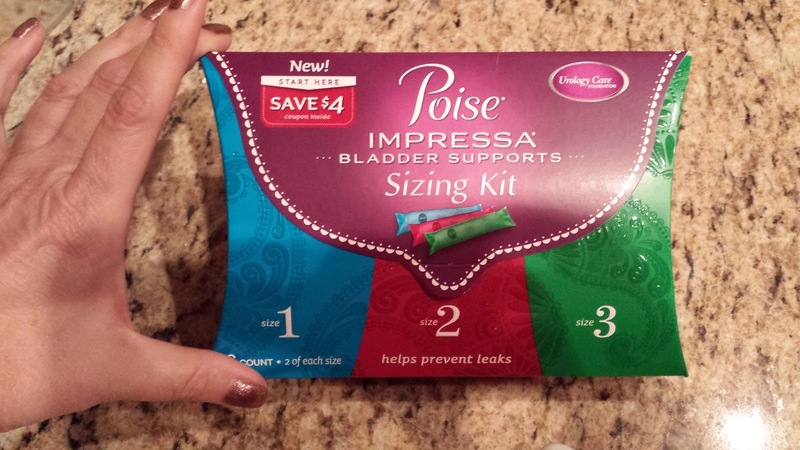 Poise Impressa now gives gives women an option that helps them stop worrying about leaks. Allowing us to experience a renewed sense of freedom and confidence to enjoy active, fulfilling lives. Remember way back to that time you got your period and your mom told you your only option was a big bulky pad? 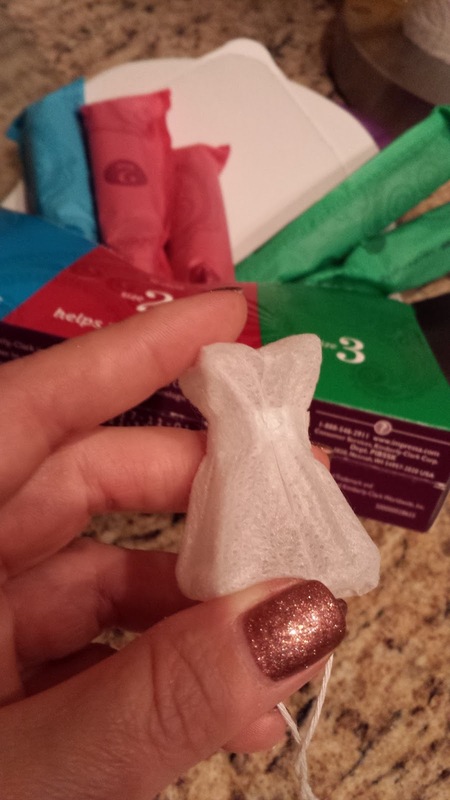 Until your older best friend introduced you to tampons? Think of Poise Impressa as a similar break through. Designed for the temporary management of Stress Urinary Incontinence, Poise Impressa doesn't absorb leaks, it's an actual bladder support designed to help prevent them for up to 8 hours. You start with the Poise Impressa Sizing Kit which comes in three different sizes to help you find your most effective and comfortable internal fit. Each kit includes two bladder supports in each of the three sizes ranging from light support to high support. The bladder supports are individually wrapped and designed for comfort. 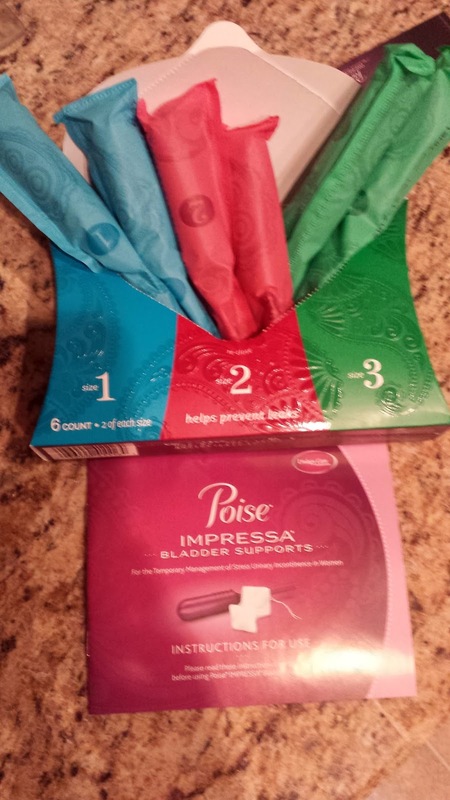 Poise Impressa Bladder Supports are made of soft, flexible silicone enclosed in a non-absorbent covering. To discard it, simply throw it in the trash. So ladies, stop sitting on the sidelines. Stash your favorite Poise products in your purse, and pack a "just-in-case" bag (with underwear and pants) should a leak happen away from home. Go out and be fearless with Poise Impressa Bladder Supports! 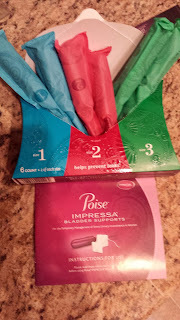 Learn more about Poise Impressa and receive a $2.00 off coupon for the sizing kit.